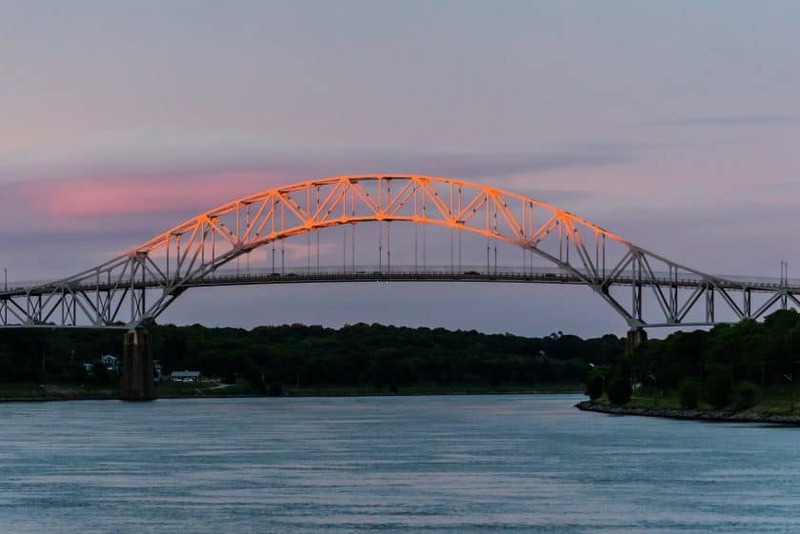 Wondering what to do during your stay on Cape Cod? Here are a few suggestions: biking, hiking, kayaking, parasailing, whale watching, birdwatching, taking in a Cape Cod Baseball League game and, most importantly, enjoying some of the world’s best set of beaches. Whether it is the amazing “disappearing water” of the beaches on Cape Cod Bay, located just up the street from the inn, or the ocean beaches of Cape Cod National Seashore, all are absolutely wonderful! Cape Cod has a vibrant and ever-changing arts scene; consider exploring the arts in Provincetown and Wellfleet, or the live theater in Chatham, Provincetown, and Brewster. There is so much to see and do on Cape Cod. See below for dozens of additional suggestions. Cape Cod is known to have some of the best whale watching in the world. We like to recommend the Dolphin Fleet out of P’Town which offers a wide spectrum of educational tools that go beyond the “average whale watch.” All trips are designed to enhance awareness of whales, other marine life and the marine habitat that surrounds us. After your whale watching adventure, be sure to stop at the Lobster Pot Restaurant and the Provincetown Portuguese Bakery to “live like a local,” and then consider a tour with Art’s Dune Tours, where you’ll explore historic sand dunes on the protected lands of Provincetown’s Cape Cod National Seashore in one of their well-outfitted Suburbans. While there is certainly much to see and do on Cape Cod, it’s our beautiful beaches that draw most visitors here, especially in the summer months. Brewster Beaches: Our town is perhaps best known for the Brewster Flats, a tidal phenomenon which occurs every six hours. As the water recedes at low tide, nearly a mile of sandbars, clam beds and tidal pools are exposed. It’s the perfect place for long walks and seaside exploration. The tidal clock at the inn will help you plan your beach experience, which can range from swimming and sunbathing to leisurely beach walks, depending on the time of day. If you are going to Breakwater Beach, which is just a short stroll from the inn, there’s no need to worry about parking permits. However, the other beaches in Brewster do require a parking permit during the summer months (from mid-June through Labor Day). Beach Parking: Parking passes are required for these beaches from mid-June until the day before Labor Day, from 9:00 a.m. until 3:00 p.m. daily. There are no attendants at Brewster’s beaches, so parking passes need to be purchased at town hall. Passes are on sale daily from 9:00 a.m. until 3:00 p.m. at the information center at Brewster Town Hall, 2198 Main Street; 508-896-3500. Parking passes are $15 per day or $50 per week. There are no fees for walkers or bikers. Please note: there is a $30 fine for parking at a beach without the required permit. One of our favorite beaches, Breakwater Beach, is within easy walking distance of the inn so there’s no need to purchase a parking pass. Simply grab one of our backpack-style beach chairs and an umbrella and take a quick stroll down the street. Another favorite beach is Mant’s Landing, which is typically quite quiet, even in the summer months. Beautiful Paine’s Creek, one of Brewster’s most renowned beaches, is just a short walk from Mant’s Landing. With Brewster’s beaches located on the protected waters of Cape Cod Bay, you’ll always find gentle surf. If you prefer big waves, the Atlantic Ocean beaches are just a short drive from the inn at Cape Cod National Seashore. The Seashore is comprised of more than 44,000 acres within five Cape towns. Closest to the inn is Eastham, where you’ll find Salt Pond Visitor Center. The visitor center, which is open year-round, is a wonderful resource. Well-informed rangers prove a wealth of information. Coast Guard Beach, regularly named on many “best beaches in the world” lists, is easily accessed via a shuttle bus that runs throughout the day between the Little Creek parking area and the beach. There are also several walking trails near the visitor center. Nauset Light Beach, also in Eastham, and Marconi Beach, in Wellfleet, are two of our personal favorites, but you’ll find something unique – breathtaking dunes, sunbathing seals, etc. – at every Cape Cod National Seashore beach. There are fees to use the beaches within the Seashore: daily vehicle – $20; daily motorcycle – $10; pedestrians and bicyclists – $3; annual National Park pass – $60. Fees are collected at the entrance to each beach’s parking area. Chatham Fish Pier: Watch the fishermen bring in their catch daily starting at noon. Bring your camera and watch the seals come try to catch the fish that fall overboard. Grab a lobster roll or bowl of chowder from Chatham Pier Fish Market while you’re there! Monomoy National Wildlife Refuge: The best walking beach in the area, with a visitor center, is also a mecca for bird enthusiasts. Avoid high tide and walk for miles along the shell-dotted shoreline. Great Island Trail in Wellfleet: Enjoy a great walk with beach on one side and forest on the other. Afterward, grab a bite at the Bookstore & Restaurant or Winslow’s Tavern. Lighthouses: Cape Cod is known for its many lighthouses. For detailed information about each one, check out our blog. Our favorites include the historic Three Sister Lighthouses, Nauset Light and Chatham Lighthouse. Nantucket: This quaint island can easily be visited in one day and is a great choice for those seeking an unhurried, Old World experience, as the island still has the original cobblestone streets and a whaling museum. We love to bring our bikes and enjoy the beautiful bike path along with 80 miles of public beaches. There are several choices of ferries to reach the island, and we usually recommend the smaller Freedom Cruise Line out of Harwich Port (8 miles from the inn). It is an 80-minute, passenger-only ferry with limited morning and afternoon sail times. Larger boats are available out of Hyannis (16 miles) including The Steamship Authority, which operates both high-speed (1 hour – passengers only) and traditional (2h 15m – cars and passengers) ferry services. HY-LINE Cruises also operates high-speed and traditional ships. Once on the island, we recommend Gail’s Tours as a way of getting an overview of the island. Gail grew up on the island and her 90-minute tour is fun and informative. Martha’s Vineyard: With its five distinct towns, this island is larger and more commercial. There are several ferry options and we usually recommend the slightly longer drive to Woods Hole, where the ferry ride is less expensive and shorter. From Woods Hole (46 miles from the inn), The Steamship Authority operates service to Oak Bluffs (45 minutes – passengers only) and Vineyard Haven (45 minutes – cars and passengers). If you prefer a shorter drive and longer ferry you can use the HY-LINE Cruises, which has service to Oak Bluffs – high speed (55 minutes – passengers only) as well as traditional ferry services (1h 40m – passengers only). Once on the Vineyard, Martha’s Vineyard Transport & Tours operates a 2h 30m tour from Oak Bluffs. There is also bus service from Vineyard Haven and Edgartown. Our innkeeper concierge is always available to help you with tickets and schedules. Cape Cod is well known for its beautiful golf courses. The Captains Golf Course: Cape Cod’s premier public golf course facility is located right in Brewster, MA, which is known as the “Sea Captain’s Town” and “Golf Capital of the Lower Cape.” The Captains Golf Course features two championship 18-hole courses – Port and Starboard. Cranberry Valley Golf Course: This magnificent, full-service 18-hole municipal golf facility, located in Harwich, Massachusetts, offers a championship layout designed by noted architects Cornish & Robinson. Dennis Pines & Dennis Highlands Golf Courses: The town of Dennis has two of the finest golf courses on Cape Cod! Dennis Pines and Dennis Highlands are open to the public on a year-round basis, depending on weather, with one course closed from December through the end of March. Enjoy a show or concert during your stay. Cape Cod attracts many talented artists. Cape Playhouse: The legendary Cape Playhouse has been bringing Broadway actors to Cape Cod for nearly 80 years. Often referred to as the “Birthplace of the Stars,” the Cape Playhouse has attracted a long litany of famous actors since its inception in 1927, and includes afternoon and evening performances. Brewster Band Concerts: Every Sunday at 6pm, Brewster’s town band plays in Drummer Boy Park. Bring a beach chair and relax before going out to dinner. Cape Cod Melody Tent: The Cape Cod Melody Tent presents world-class entertainment in an intimate theatre-in-the-round, where every seat is within 50 feet of the stage. Cape Rep Theatre: Founded in 1986, our local theatre in Brewster continues to amaze us with the quality of their performances, which run from May to December with four to five plays and an outdoor theatre for children in the summer. Visit one of the many museums on Cape Cod during your vacation to learn about Cape Cod’s history and important landmarks. Cape Cod Museum of Natural History: Just down the road from the inn is a wonderful volunteer-based museum that gives back so much to our small community. Enjoy a nature walk down to the bay through the Wing Trail, view an osprey nest, learn about birding or just enjoy the beautiful scenery that surrounds this small town treasure. They are passionate about helping others understand our natural environment through discovery, learning and being stewards of conservation land. John F. Kennedy Hyannis Museum: The John F. Kennedy Hyannis Museum captures the years JFK spent at the family compound in Hyannis Port, his time spent there with family and friends, and with national and international persons of prominence. Chatham Marconi Maritime Center: Learn about the rich history of wireless communications on the Cape. The museum has an original Enigma machine along with tidbits of Guglielmo Marconi and his life. Heritage Museums & Gardens: Heritage Museums & Gardens is famous for rhododendrons that bloom throughout the beautifully-landscaped grounds. Don’t miss the antique automobile collection that is displayed in a Shaker round barn, and the operating, hand-carved carousel within the park. They also just added an adventure park complete with a zip line. Cape Cod Museum of Art: A wonderful local collection of art with many educational and outreach programs. First Line Fishing: First Line Fishing in Chatham offers more than 20 local fishing guides with a wide array of trip options, including offshore tuna trips, inshore striped bass and bluefish fishing, kayak estuary fishing, flat boat rentals and beach surfing. Magellan Fishing Charters: Located at Saquatucket Harbor in Harwich Port, Massachusetts, Captain Len Greiner has been running sport fishing charters, eider hunts, and seal watches for years. His knowledge, expertise and sense of humor will ensure you have a good time no matter what you choose to do. Rock Harbor Charter Service: Located on the bay side in Rock Harbor, this charter service has 14 fully-equipped charter boats that fish the waters of Cape Cod Bay for striped bass, bluefish, shark and bluefin tuna. Make sure to check out Cap’t Cass’s afterwards for a great lunch. For those guests looking for an adventure off of our peninsula, we have several day trip recommendations including the New Bedford Whaling Museum (60 miles), which has a large collection of maritime art and history worthy of a half-day visit. Plimoth Plantation (44 miles) is located in the picturesque seaside community of Plymouth, Massachusetts. Home to the “birthplace of Thanksgiving,” the plantation is a living history museum that portrays life in Plymouth as it was in the 17th century. For those die-hard shoppers, enjoy great bargains at the Wrentham Village Premium Outlets (81 miles from the inn). We love to recommend Captain Bob for our guests who want a sailing adventure on Nantucket sound. His beautiful Sabbatical is a cutter-rigged classic and he offers private sailing charters and a variety of learn-to-sail programs. Bob has been a Coast Guard-licensed captain since 1983. Many of our guests bring their own bikes to enjoy the wonderful bike paths that grace many parts of the Cape. Check out our blog, where we have detailed each path. We have a safe and protected place for you to store your bikes in the back of our building. For bike rentals, we have a wonderful business in Brewster that rents well-equipped bikes and supplies, Cape Cod Rail Trail Bike & Kayak. Not to be missed is the wonderful bakery next door, Eat Cake 4 Breakfast, and the Mexican restaurant just across the street, El Guapo’s. The Cape Cod Baseball League is arguably the most respected amateur baseball league in the country. Some of the finest college ballplayers from around the country are invited to spend the summer on the Cape and play on one of the teams. Major League scouts are among the spectators at Cape League games as the baseball stars of tomorrow take the field. We have had several scouts stay at our inn and there is nothing like bringing a picnic and beach chairs to enjoy a good old-fashioned baseball game. Click for the current schedule. 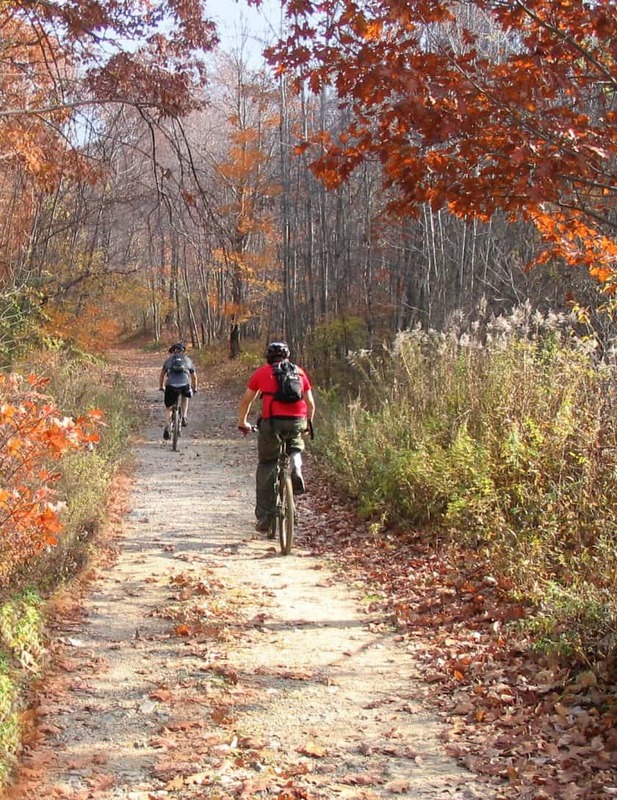 Nickerson State Park: The beautiful park spans 1900 acres, with miles of hiking trails and bike paths. The Cape Cod Rail Trail runs through the park with beautiful “kettle ponds,” which formed as glaciers retreated over 10,000 years ago. The Brewster Store: Just a few steps from the inn is our treasured old-fashioned general store. Enjoy a cup of coffee or an afternoon ice cream on their porch. Stony Brook Gristmill: During the spring, herring migrate from the ocean up to Mill Pond, where they lay their eggs. It’s a sight to be seen, as many seagulls are waiting for their afternoon meal as the fish migrate upstream. Walking paths surround the mill and lead to the lake, making this a great attraction year round. Lemon Tree Village Shops: There is a small shopping village in Brewster that has some one-of-a-kind stores, including a kitchen store, La Bodega clothing, an old-fashioned toy store and a gallery of wooden furniture made by the Amish….just to name a few. Brewster Book Store: We have a wonderful old-fashioned bookstore in Brewster that has a great collection of children’s books, along with many interesting reads for adults, too. The Crosby Mansion: This historic building is being restored thanks to the Friends of the Crosby Mansion. Check out our blog post for the house’s interesting history, and their website for hours and scheduled tours. Even when they’re closed, it’s fun to read about the history online and then walk around the property, peeking into the windows (it’s OK- they don’t mind). Brewster Historical Society: Now located in the recently-renovated Captain Elijah Cobb House, the historical society’s new home is just a short stroll from the inn. The Brewster Historical Society, established in 1964, collects and preserves the artifacts and history of Brewster to ensure their future accessibility. The society also maintains a restored 18th-century windmill and house, and a blacksmith shop in Drummer Boy Park. The Birdwatchers’ General Store: Located in Orleans, this quirky shop is worth a visit. The store is filled with every kind of bird book, food, houses and feeders imaginable. Afterward, enjoy a lobster roll at Sir Cricket’s Fish & Chips next door: they are out of this world! Depending on when you vacation, there are many fun fairs and festivals in Brewster, MA and throughout Cape Cod. Barnstable County Fair: The Barnstable County Fair is an annual summer tradition on Cape Cod. There are animal shows, 4-H demonstrations, petting zoos, horticulture displays, rides, games, live music, arts & crafts, food and commercial vendors with various handmade goods for sale. Brewster in Bloom: A week-long celebration of spring, flowers and fun in the town of Brewster. Highlights include a parade, a 5K road race, arts, crafts, and antiques. Provincetown International Film Festival: This film festival is dedicated to showcasing independent American and international films, nurturing aspiring independent filmmakers, honoring industry luminaries, and preserving and sustaining cinema as an art form through educational forums. Brewster for the Holidays: This is a wonderful celebration of the winter holidays that is always held on the first weekend of December. The event includes an old-fashioned concert, caroling, craft shows and so much more. Provincetown Portuguese Festival & Blessing of the Fleet: This is a fun and delicious event held at the end of June, complete with a parade and incredible food. These are just some of our favorites, but check out the following resource for current schedules of all festivals: www.capeevents.com.